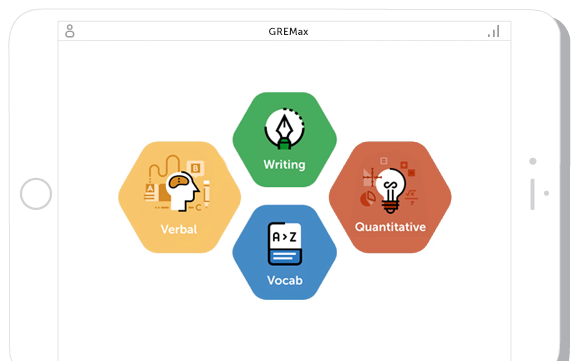 GREMax is simple and effective GRE prep in a mobile app. Quickly improve your GRE performance while practicing in your spare time. Download for free today on iOS or Android. What are the benefits of our GRE Questions app? An effective and affordable mobile resource that is a must for anyone preparing for GRE. 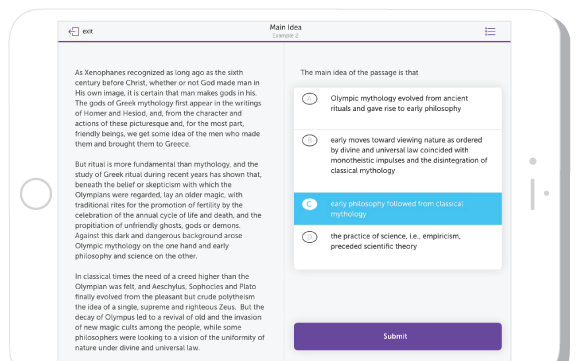 Lessons and homework for Quantitative, Verbal and Writing sections as well as subcategories for each concept/question type so you can quickly find the material you want. Hone your test-taking skills with an enormous bank of thoroughly explained GRE questions and master GRE vocabulary with thousands of common word flashcards. Track your progress and foster discipline by setting and achieving daily goals. Analytics track your progress and pinpoint where you should spend your precious study time. Raise your score with proven GRE strategies and techniques. 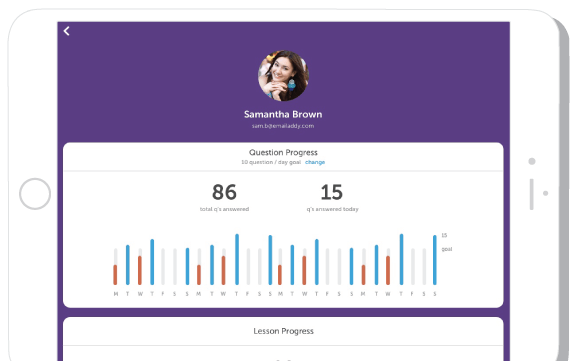 1000+ practice questions with detailed explanations. Master GRE vocabulary with 4000+ common word flashcards. Ditch the classroom and study whenever/wherever you want. Common Questions About the GRE. When are the GRE test dates? Can the GRE be taken online? How is the GRE scored and percentile calculated? How are GRE scores Reported? Can GRE scores be combined? The computerized version of the GRE test is administered Monday through Saturday up to three times per day at each test center. These test dates include some holidays. The paper version of the GRE is administered three times per year in April, September, and October. 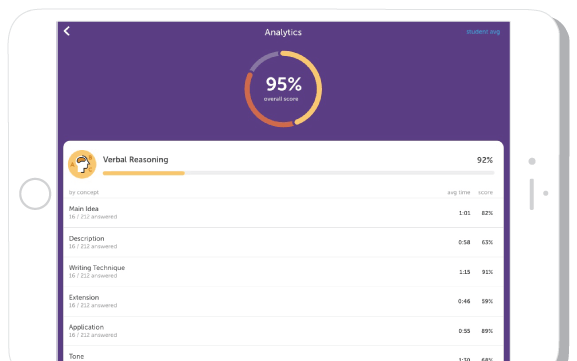 The GRE consists of six multiple choice sections, two in the subject area of analytical writing, two in the subject area of verbal reasoning, and two in the subject area of quantitative reasoning. The entire test takes 3 hours and 45 minutes including break times. 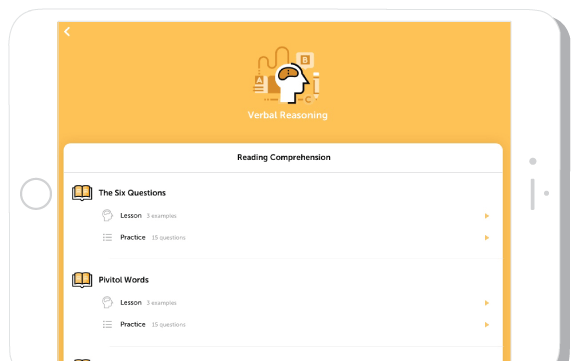 Test takers have 35 minutes to complete each of the two quantitative reasoning sections, 30 minutes to complete each of two verbal reasoning sections, and 30 minutes to complete each of two analytical writing tasks. The computerized edition of the GRE also includes an "unscored" or "research" section. The computer-administered version of the GRE cannot be taken online from a personal computer. This version of the GRE must be taken at a GRE test center. GRE scores range from 130 to 170 for the verbal reasoning and quantitative reasoning sections, respectively. Analytical writing section scores range from 0 to 6. The percentile ranks for scores are calculated based on the performance of all test takers and indicates the percentage of test-takers who scored lower than the given test score. For example, 99 percent of all GRE test takers between July 2014 and June 2017 scored below 169 on the verbal reasoning section of the GRE, and 96 percent of all GRE test takers between July 2014 and June 2017 scored below 169 on the quantitative reasoning section of the GRE. In addition, 99 percent of GRE test takers between July 2014 and June 2017 scored below a 6.0 on the analytical writing section of the GRE. The GRE test fee includes the cost of sending score reports to four recipients (graduate schools or fellowship programs). Test takers taking the computerized GRE must choose these recipients at the test center on the test day, and test takers taking the paper GRE must indicate these recipients on their test registration form. When you receive your test scores on the day of the test, you can opt to select to send only your most recent or all of your test scores to your chosen schools or fellowship programs. After the day of the test, you may also opt to select any other test scores from the past five years to send to the graduate schools or fellowship programs you have chosen. Beyond the four score reports included in the GRE test fee, additional score reports may be ordered at $27 per report. All score reports are sent directly from the administrator of the GRE—ETS—to the selected recipient. Official scores are available for reporting 10-15 days after a computerized test and five weeks or so after a paper test. No, GRE scores from different test dates cannot be combined. Test takers may retake the paper GRE up to 3 times per year and may retake the computerized GRE up to 5 times per year, once every 21 days.